Custom jewelry is easy to achieve with epoxy and metal clay. Epoxy clay is a two-part clay that will adhere to almost any surface and requires no heat to cure. Use it with mixed media components like Swarovski crystals or other embellishments for whatever look you're trying to capture. Metal clay is workable clay made from actual metals, like copper, bronze, and silver. Use a kiln to fire metal clay into custom toggles, links, bead frames, and more. These supplies are just what you need to make any design dream come to life. Start designs with modern color using 20 grams of the Swarovski Ceralun silver epoxy clay. Ceralun is a versatile and powerful two-component, high-performance ceramic epoxy composite comprised of hardener and epoxy resin. It has been especially developed for the application of Swarovski crystals. Ceralun has optimal adhesive characteristics for applications on metal, glass, crystal, glueable plastic surface, rubber, wood, cork and porcelain. This epoxy comes neatly packaged with instructions on use included. 20 grams is the perfect amount for small jewelry projects, so you can experiment with different colors in all of your designs. This clay features a versatile silver color. Make your designs stand out with shimmering color by using the Swarovski Ceralun Gold epoxy clay, 100 grams. Ceralun is a versatile and powerful two-component, high-performance ceramic epoxy composite comprised of gold hardener and gold epoxy resin. It has been especially developed for the application of Swarovski crystals. Ceralun has optimal adhesive characteristics for applications on metal, glass, crystal, glueable plastic surfaces, rubber, wood, cork and porcelain. This epoxy comes neatly packaged with instructions on use included. Pair it with regal colors like blue, purple or red. Decorate designs in unique ways with the help of Swarovski Ceralun White epoxy clay, 100 grams. Ceralun is a versatile and powerful two-component, high-performance ceramic epoxy composite comprised of hardener and white epoxy resin. It has been especially developed for the application of Swarovski crystals. Ceralun has optimal adhesive characteristics for applications on metal, glass, crystal, glueable plastic surfaces, rubber, wood, cork and porcelain. This epoxy comes neatly packaged with instructions on use included. Use it with iridescent crystals for a dazzling effect. For perfect placement in your multimedia ideas, use this Crystal Art pick jewel setter. This amazing tool looks like a pen but features a small waxed end to make picking up rhinestones simpler. Use this when working with tiny Flatbacks and rhinestones to pick up one at a time and place in your ideas for a professional finish. Make unique designs with 20 grams of Swarovski Ceralun white epoxy clay. Ceralun is a versatile and powerful two-component, high-performance ceramic epoxy composite comprised of hardener and epoxy resin. It has been especially developed for the application of Swarovski crystals. Ceralun has optimal adhesive characteristics for applications on metal, glass, crystal, glueable plastic surfaces, rubber, wood, cork and porcelain. This epoxy comes neatly packaged with instructions on use included. 20 grams is the perfect amount for small jewelry projects, so you can experiment with different colors in all of your designs. This clay features a versatile and bright white color. With the Crystal Katana rhinestone pick up tool, you can quickly and easily glue and place Flatback crystals. It includes an adapter for tiny SS9 to SS5 Flatback rhinestones. Made of premium jeweler's wax, the tip can be easily reshaped or rejuvenated. Award-winning designer Kelly DeFries of Crystal Ninja developed this essential Flatbacking tool. Why use anything else? Finish projects that incorporate tiny components faster than ever with the Pick-it-Up vacuum tool from The Beadsmith. This tool uses suction pressure to pick up small components such as Flatbacks and Chatons and accurately place them where you want in your designs. You no longer have to struggle with tweezers or wax tips. This tool works quickly to put your components in place, all while avoiding finger print marks on your designs and strain on your hands. This tool even comes with a rubber tip that is perfect for picking up larger components. The power control wheel adjusts suction for different sized items. With this vacuum tool, you can finish those intricate projects filled with small items in half the time. The Jewel Setter is the updated version of the Perfect Positioner. It's perfect for using with Swarovski rhinestones. You can do away with the beeswax, toothpicks, and mess because the Jewel Setter is a simple tool that will help you pick up and easily place your rhinestones in any pattern you like. This will make your work easier and faster. Explore new ways to dress up your designs with the Flourish Clay Squisher texture plate. This rubber template features six different designs you can use to make impressions in epoxy clay. They're perfect for adding texture and patterns to designs. Once the epoxy clay cures, try using mica powder or Gilders Paste to highlight the design. Patterns featured include Fleur de Lis designs, paisley, swirling vines and more. Create amazing works of art with help from the Ultra-Lite Beehive kiln. This small 120V bench-top kiln is ideal for the small studio, and will help you make amazing jewelry components. Included with the kiln is a 120V temperature controller, three metal clay firing inserts and instructions for care and use. Use this kiln with PMC3 for spectacular results. For detailed instructions on using metal clay and design inspiration, check out the book Metal Clay 101 for Beaders. You can also use this kiln for fine metals granulation, enameling, annealing and fusing glass. The kiln maintains a 1550 to 1700 Fahrenheit degree temperature and the 3"x1.5" firing chamber provides easy viewing. The temperature controller provides nine temperature ranges, from 1550-1700 degrees Fahrenheit to as low as 850 degrees Fahrenheit. The kiln needs to heat for an hour to reach these temperatures. Use the metal clay inserts to fire metal clay or use them to dry metal clay by setting it on the kiln lid. They safely dry metal clay in as little as ten minutes. Create one-of-a-kind looks with the help of Swarovski Ceralun Black epoxy clay, 100 grams. Ceralun is a versatile and powerful two-component, high-performance ceramic epoxy composite comprised of hardener and black epoxy resin. It has been especially developed for the application of Swarovski crystals. Ceralun has optimal adhesive characteristics for applications on metal, glass, crystal, glueable plastic surfaces, rubber, wood, cork and porcelain. This epoxy comes neatly packaged with instructions on use included. Use it to make colorful crystals pop in designs. Start designs with the daring color of the 20 grams of Swarovski Ceralun Shining Red epoxy clay. Ceralun is a versatile and powerful two-component, high-performance ceramic epoxy composite comprised of hardener and epoxy resin. It has been especially developed for the application of Swarovski crystals. Ceralun has optimal adhesive characteristics for applications on metal, glass, crystal, glueable plastic surface, rubber, wood, cork and porcelain. This epoxy comes neatly packaged with instructions on use included. 20 grams is the perfect amount for small jewelry projects, so you can experiment with different colors in all of your designs. This clay features a crimson color. 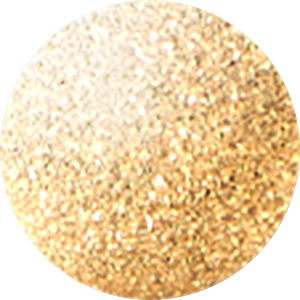 Add a shining foundation to your designs with 20 grams of Swarovski Ceralun gold epoxy clay. Ceralun is a versatile and powerful two-component, high-performance ceramic epoxy composite comprised of hardener and epoxy resin. It has been especially developed for the application of Swarovski crystals. Ceralun has optimal adhesive characteristics for applications on metal, glass, crystal, glueable plastic surface, rubber, wood, cork and porcelain. This epoxy comes neatly packaged with instructions on use included. 20 grams is the perfect amount for small jewelry projects, so you can experiment with different colors in all of your designs. This clay features a shimmering golden color full of regal style. Create completely unique designs with 20 grams of the Swarovski Ceralun black epoxy clay. Ceralun is a versatile and powerful two-component, high-performance ceramic epoxy composite comprised of hardener and epoxy resin. It has been especially developed for the application of Swarovski crystals. Ceralun has optimal adhesive characteristics for applications on metal, glass, crystal, glueable plastic surface, rubber, wood, cork and porcelain. This epoxy comes neatly packaged with instructions on use included. 20 grams is the perfect amount for small jewelry projects, so you can experiment with different colors in all of your designs. 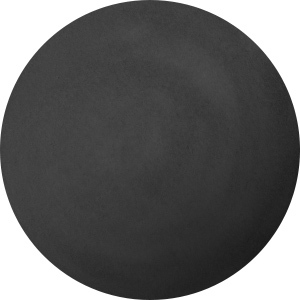 This clay features black color, perfect for making brighter tones pop. Decorate designs in unique ways with 20 grams of Swarovski Ceralun Pearl Silk epoxy clay. Ceralun is a versatile and powerful two-component, high-performance ceramic epoxy composite comprised of hardener and epoxy resin. It has been especially developed for the application of Swarovski crystals. Ceralun has optimal adhesive characteristics for applications on metal, glass, crystal, glueable plastic surface, rubber, wood, cork and porcelain. This epoxy comes neatly packaged with instructions on use included. 20 grams is the perfect amount for small jewelry projects, so you can experiment with different colors in all of your designs. This clay features a shimmering pearlescent color. Experiment with epoxy in your designs using Swarovski Ceralun Shining Red epoxy clay, 100 grams. Ceralun is a versatile and powerful two-component, high-performance ceramic epoxy composite comprised of shimmering hardener and red epoxy resin. It has been especially developed for the application of Swarovski crystals. Ceralun has optimal adhesive characteristics for applications on metal, glass, crystal, glueable plastic surfaces, rubber, wood, cork and porcelain. This epoxy comes neatly packaged with instructions on use included. Pair it with crystals in daring colors like Jet or Hematite.